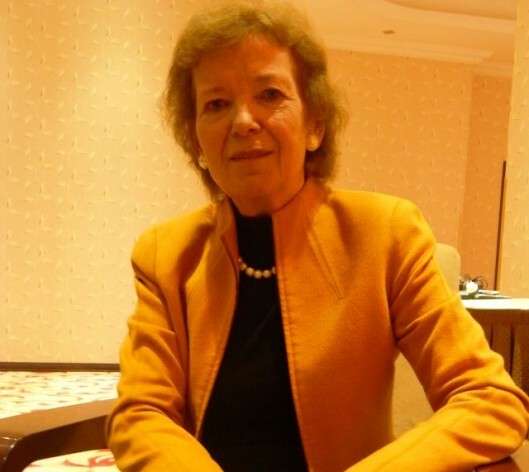 ADDIS ABABA, Mar 12 2014 (IPS) - Ireland’s former President Mary Robinson has been working hard to include women from the Democratic Republic of Congo (DRC) and the Great Lakes Region in the regional peacebuilding process. Because without their involvement, she says, peace and security in the region will be unrealistic. As the first female United Nations Special Envoy for the DRC and the Great Lakes Region, she strongly believes that women’s empowerment at a community level is critical. “And I want governments to continue to understand the importance of their role in implementing their Peace, Security and Cooperation action plan. Their commitments are very specific so we can mark and hold them to account and monitor how they are implemented. That is my task but I also need the support of CSOs, the media and everyone living in the region to make this happen,” she said. Q: Why do you think it is important to have more women peace builders? A: I subscribe to the view that more and more people believe that women and girls are central to peace and development in countries. They are the ones working on peace at a local community level and yet they have never properly been represented in the peace processes, which is usually “bad men forgiving other bad men in front of cameras” as we say. We also know that women are agents of change and have a great capacity to organise their communities. Progress would be limited if the vast potential and value of women was not incorporated into the search for durable peacebuilding solutions in the region. Q: You are the first woman to be appointed U.N. Special Envoy. Do you think that there are enough women peace builders in the DRC and the Great Lakes Region? A: The more women that are involved the better. It is notable that the U.N. Secretary General Ban Ki-moon has appointed more women as special representatives in difficult countries like South Sudan or Liberia. They are doing a good job and making an impact because women understand profoundly the impact that fighting has on families. This is something that women have particular empathy for. Q: How do you plan to engage non-state actors including CSOs and the media in the region’s peacebuilding process? A: It’s very important for me to engage civil society and the media in what we are trying to do, which is bringing about peace security cooperation and development in the Great Lakes region – particularly the DRC and Eastern Congo where there has been so much suffering for so long. I say that because governments have committed both at the regional level and at the national level to take steps on security and have committed to not encourage armed groups in another country, as well as not harbouring those who commit terrible crimes and to work together for development. They have benchmarks now, which I think are too technical. They need to instead be held accountable by society. To help achieve this I have established a platform for women’s groups to achieve more visibility for what women are doing in tackling gender-based violence in their livelihoods and through greater access to clean energy, etc. Q: Why is it important to engage non-state actors such as CSOs? A: We are deliberately taking these steps to make the peace and security process more real for people in the region. We are also going to be working with young people – there is going to be a summit for young people hosted by Kenya in May. I want people to feel that this peacebuilding process is different from previous ones. I believe that the governments are serious and I think they are also trying to be serious. We ourselves are also engaged, we know what to expect and we will be in a stronger position to hold governments to account because of our work with non-state actors, particularly women and youth. Q: Do you think peace and security is improving in the DRC and the Great Lakes Region? A: The framework that I work to, the Peace, Security and Cooperation Framework, is one year old (Feb. 24) and I believe we have achieved a lot in this time period. We have managed to have the M23 rebel group defeated as well as establish a Kampala political agreement so that those who fled to Rwanda and Uganda, are able to return and go through a process of re-integration if they haven’t committed serious crimes. We also have the commitments on the development side. I am organising a private sector investment conference in May together with the Great Lakes conference because we really need a peace dividend. The World Bank has been engaged, the World Bank president has promised to pledge a billion dollars to fund projects. Those are being worked on in the key countries in the region. I hope that in 2014 we will see a real commitment from governments in the region to end armed groups.